We have lots of upcoming sales and special deals using coupon codes on Fat Quarter Shop. Many of you have asked how to use these coupon codes to get your discount, and we are here to help! 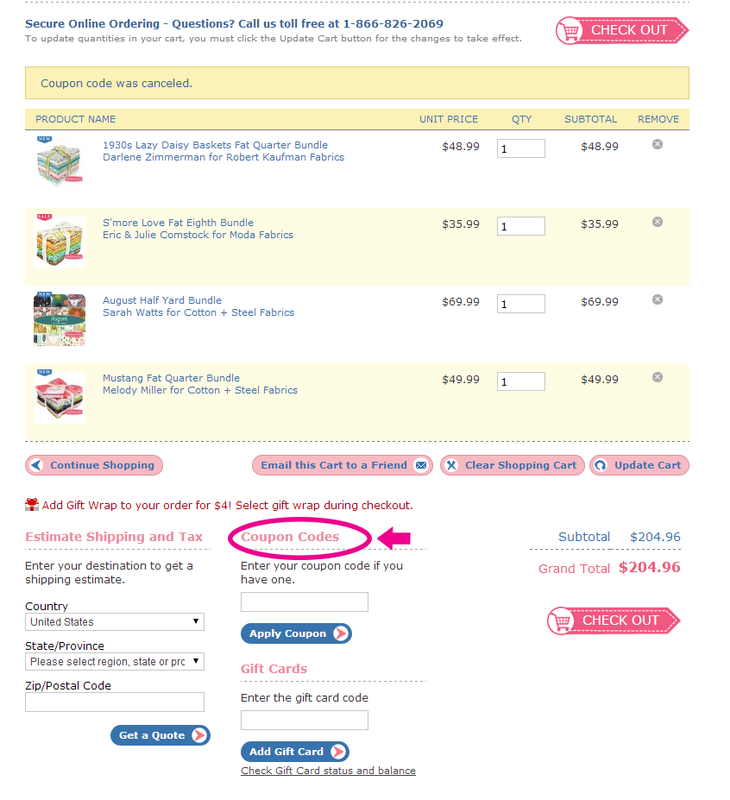 We're going to take you step-by-step guide on how to use your coupon codes. Let's begin! 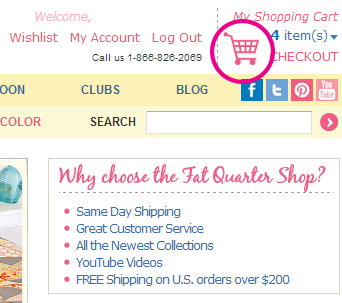 After you have put all of your Fat Quarter Shop goodies in your shopping cart, click on the shopping cart icon. Scroll down the page until you see a section called "Coupon Codes"
Enter the coupon code in the box and click the "Apply Coupon" button. Wait for the page to load and you're all set! The coupon should show you the discount on your grand total. I hope you guys found this helpful! Please let us know if you have any questions by commenting below! We will update this post with answers! Happy saving, everyone!